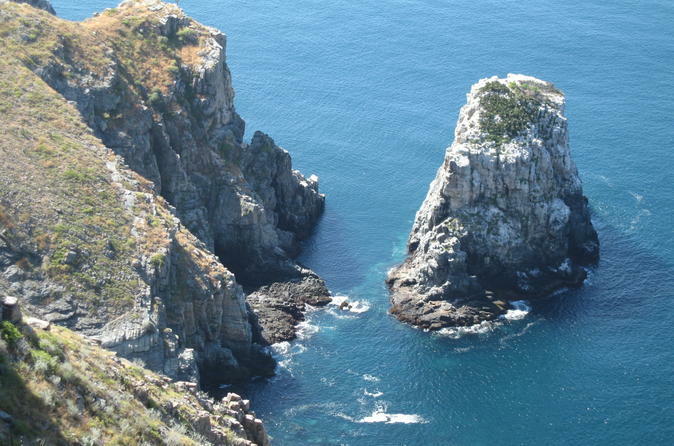 This is a spectacular cliff walk along the Pacific bluffs of Todos Santos that features amazing scenery, fascinating local history and encounters with strange and wonderful flora and fauna. It is about 3.5-hours long and you'll have a chance to swim too. 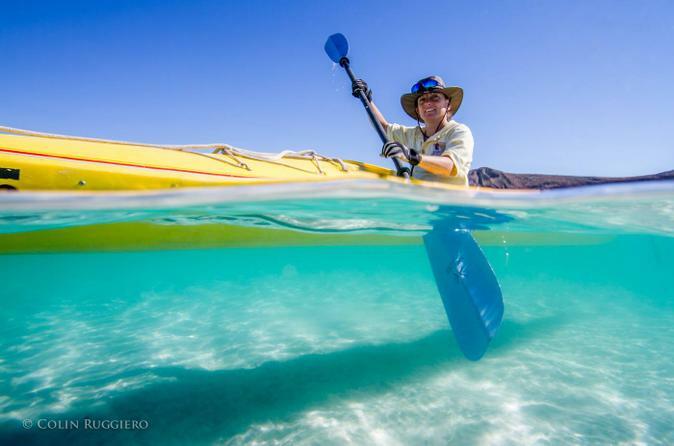 Kayaking is the perfect way to explore the Sea of Cortez and what the UNESCO World Heritage has mentioned is filled with "striking natural beauty in a dramatic setting." The amazing scenery is formed by rugged islands with high cliffs and sandy beaches and you can admire the contrast and reflection from the desert along with the turquoise waters. 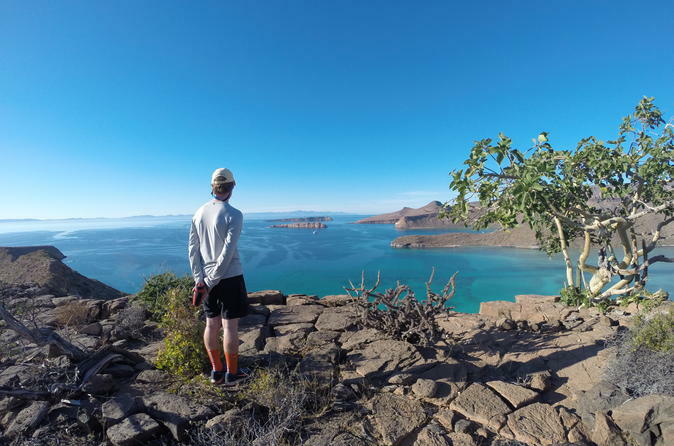 Isla Espiritu Santo is truly the jewel of the Sea of Cortez. It is part of a national marine park and a UNESCO World Heritage site. This full-day tour includes a boat tour of Espiritu Santo, snorkeling with sea lion puppies at the permanent sea lion colony of Los Islotes, kayaking the bays and inlets of Espiritu Santo, and enjoying a terrific home made lunch on the beach. It's a truly wonderful day in the Sea of Cortez. 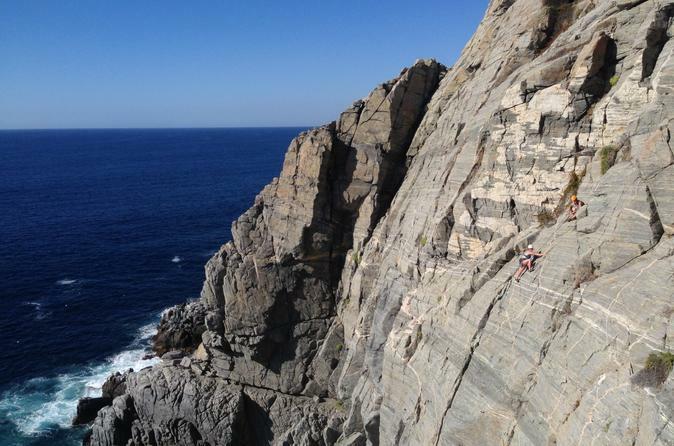 Enjoy a rock climbing adventure in Todos Santos suitable for all levels of experience. 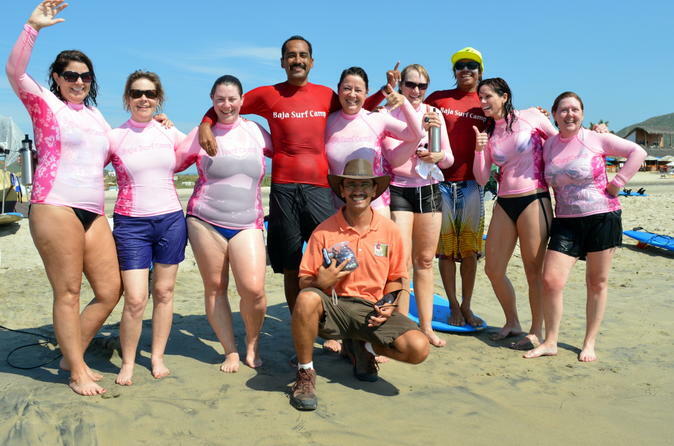 Your tour includes transportation and guides, and is scheduled according to the season and skill level of the participants. This 7-day Surf Camp in Todos Santos is the perfect girl's getaway. The Baja Surf Camp for Women takes place in one wonderful week featuring yoga classes and surf lessons each morning, a fun/indulgent activity each afternoon, and a fabulous dining experience each evening. It's nothing but sun, surf and a sublimely fantastic getaway that´s all about you having nothing but fun. 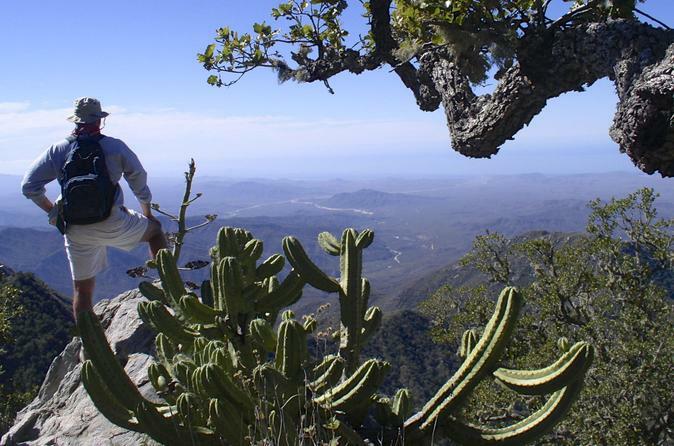 The Sierra de la Laguna Biosphere Reserve interpretive hike is in one of Baja California Sur's most beautiful but least explored areas. Part of an island off the coast of Baja 10 million years ago, the Reserve is home to an incredible diversity of plant and animal life. On this 'Reach for the Sky' hike, you'll hike as high up the mountain as you can and still get home before dark! This tour is recommended for experienced hikers only. 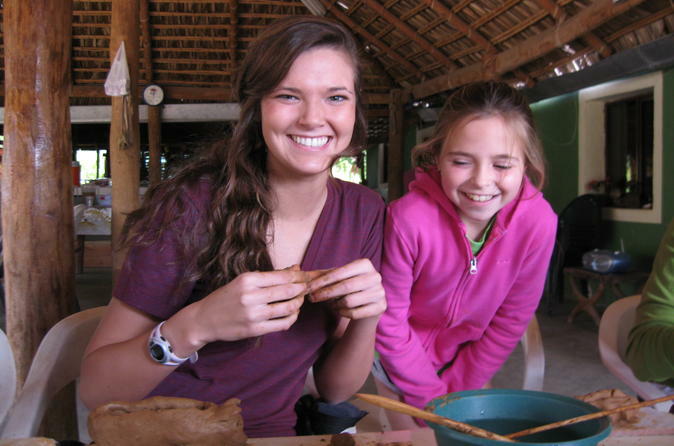 This is a fantastic opportunity to experience the traditional way of life of the mountain ranchers in Baja. You'll meet local potters in a true mountain oasis, and learn how Baja Californians have carved their homes and livings out the mountains for centuries. Getting there is half the adventure. Enjoy driving through the huge, dry arroyos and the beautiful desert roads that lead you up into the mountains, passing through forests of cactus and desert life along the way. 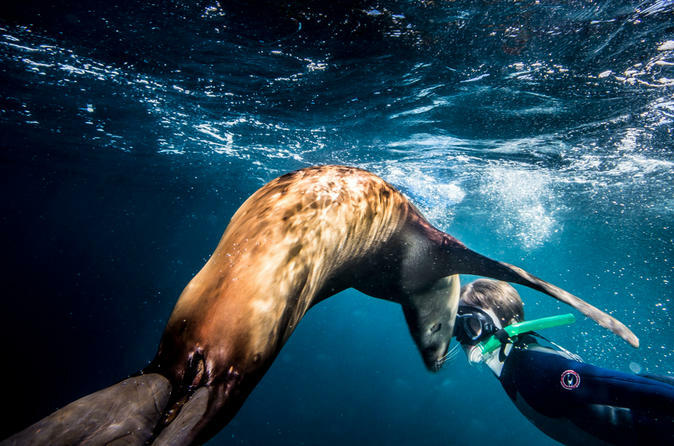 Snorkeling with sea lion puppies at the permanent sea lion colony of Los Islotes is one of life's great adventures. On this tour, you will get to do this and also see dolphins, whales, mantas, sea turtles, coastal birds and more on the boat ride out. You'll top-off this wonderful day with a delicious picnic lunch at one of the great Isla Espiritu Santo beaches.